Berlin-based Booka Shade (Walter Merziger and Arno Kammermeier) started making music together in 2002 and gained worldwide recognition a couple of years later with their singles “Body Language” (with M.A.N.D.Y.) and “Mandarine Girl” and debut album Memento. Since then they’ve played in the best clubs around the world and, hit single after hit single, they’ve developed a unique sound. 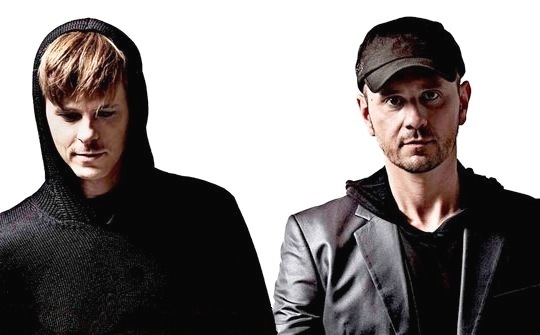 Arno explains that with every track thay produce, Booka Shade aim to “produce something personal – music that is the very essence of who (we) are”. Their undeniable talent both as producers and live performers has led them to share their personal touch through collaborations with respected artists including Moby, Depeche Mode, Tiga, Hot Chip, The Knife and Ellen Allien. With their fourth album Booka Shade are giving their fans even More! It’s an album of slick electronics, strong emotions and rich melodies, born on the dancefloor but aiming for the sky. For those familiar with Booka Shade, they will find the duo’s trademark sound but with a new twist. This is a leaner, keener Booka Shade. This is Booka Shade, but more so.